Having lived as man for most of her life, it wasn’t until 2012 that Janet was able to become who she really wanted to be. Since then, she’s had a turbulent time with family and her health but with the support of friends and her scheme managers she has settled into her new home and made new friends. Janet said: “I hadn’t really thought about living in sheltered housing until my friend Gina moved into one. At the time I was living in a house that I’d shared with my late wife and I was struggling with my health. There wasn’t any space where my friend Gina lives however she mentioned an Anchor housing scheme nearby so I applied. The scheme managers said there was a flat available so I went to look around. I got a strong feeling of contentment when I walked in and thought to myself I could live here. The Anchorcall pull cord system, which is a 24 hour, seven days a week support service, also made me feel secure that there is someone there to help if I need it. “Since I moved in I’ve become involved in organising lots of social events. My 70th birthday was approaching and I wanted to celebrate in style so my friend Julie organised a party at the scheme and invited everyone who lives here and some of my friends. I was overwhelmed with the number of birthday cards I received, I got 45 cards and in the past I’d only ever received five cards. 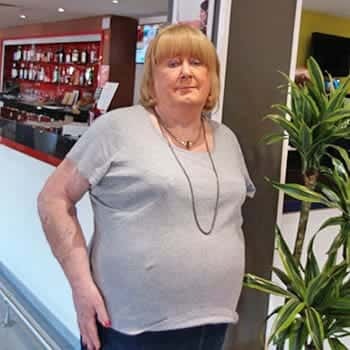 “I know lots of people have wondered about me being transgender, but I’ve felt very accepted here and I think I’ve opened a few people’s eyes to the LGBT+ community. At the party, myself and a few of my LGBT+ friends sang along to the song ‘I am who I am’, the whole room was on their feet in a standing ovation clapping their support. It was an emotional evening. “I’ve also joined Anchor’s LGBT+ group after my scheme managers mentioned it to me. I went to a meeting and I got on really well with the rest of the group and thoroughly enjoyed the meeting. Click here to find out more about the LGBT+ group.